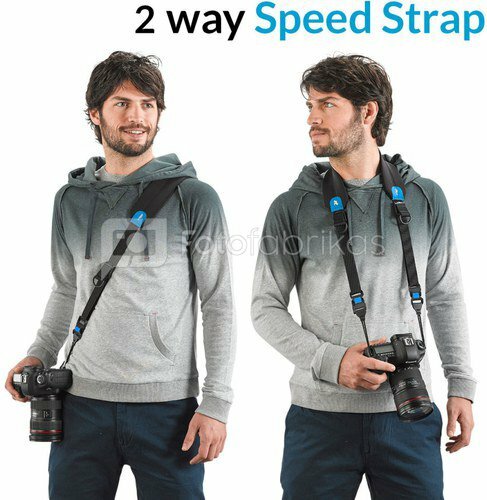 The miggo Two-Way Speed Strap is a unique and versatile camera strap that enables serious photographers to carry their camera comfortably and switch quickly between two carrying modes: sling mode (across the torso) where the strap is connected to the underside of the camera with a designated screw, and classic mode (around the neck or over the shoulder) where the strap is connected to the sides of the camera with quick-release buckles. 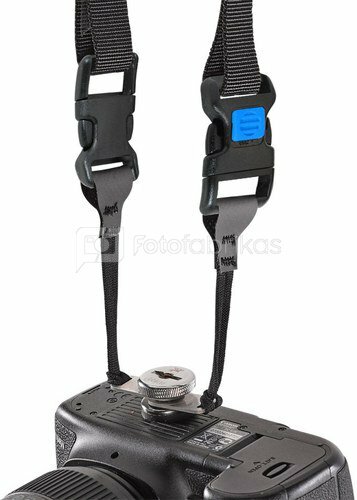 In addition, it enables the user to easily adjust the length of the strap with only one hand, with the help of the quick-adjust buckle. The two carrying modes – sling and classic – enable photographers to choose the required carrying mode that suits them, and to change between them without releasing the camera. The strap is equipped with four quick-release buckles with a safety mechanism to prevent unwanted opening. Looking for more than two main carrying modes? 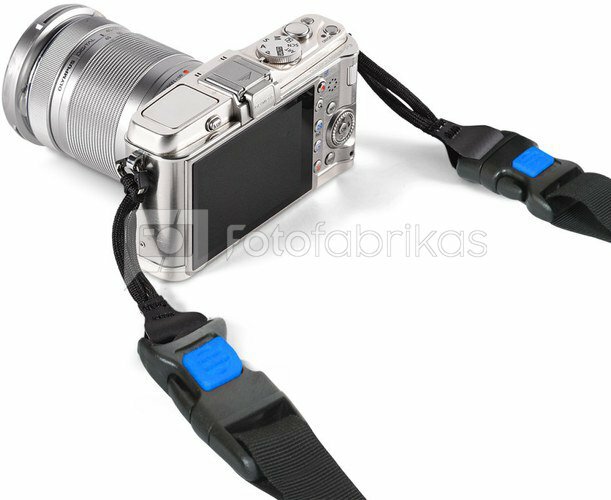 You can combine the strap, buckles and screw to create unique carrying modes. Please read the user manual to learn more. 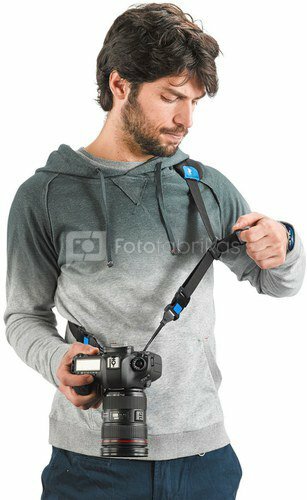 The main part of the strap is made from high quality Neoprene covered with Lycra fabric which provides features such as comfort, non-absorption of perspiration and a lightweight build. 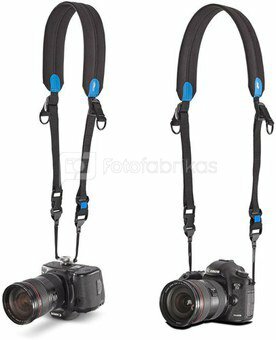 Its attractive price and a variety of unique features make the miggo Two-Way Speed Strap an ideal choice for photo enthusiasts seeking maximum comfort and customization without compromise. The strap is suitable for all types of cameras weighing up to 1.5 kg. 0.150 kg. / 0.33 lbs.